The Contemporary Boat Building Carpentry Class teaches skills essential for building round-bottomed boats. Students learn to derive shapes of frames and planks, plank both carvel and lapstrake hulls, and understand traditional construction techniques. They also examine and experience the properties of various boatbuilding materials, the advantages and limitations of different construction styles, and the properties of the range of fasteners and adhesives for boat construction. 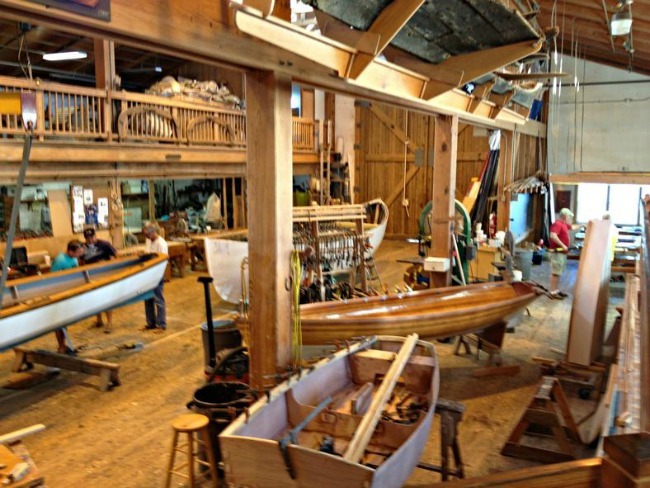 12 hours (2 day class) can be used as a prerequisite for 9-Day Boatbuilding Class. The next class takes place on July 26-27, 2014 from 9 a.m. to 4:30 p.m. Class Fee: $135. Friends of the Maritime Museum receive a discount. Reservations required. Additional 2014 class dates include: September 13-14 and December 13-14. The class takes place on the Beaufort, North Carolina waterfront at the Harvey W. Smith Watercraft Center, located across the street from the North Carolina Maritime Museum.